There’s More Than One Way To Sell Your Columbus Home! Everyday, more and more people are realizing the convenience, cost savings and over all stress-free process of selling direct! Imagine selling without paying commissions, or repairs or closing costs! When you sell directly to Sell House Columbus, you will never be charged a dime. We even pick up all the closing costs! Check out this link to learn more about how it works! If you have been thinking about selling, now is your chance to get an no-obligation offer! We are currently purchasing homes throughout throughout Ohio and would love the chance to make you an offer on your home! You might be surprised at how many ways a direct sale can benefit you! 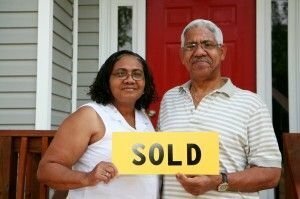 We have helped hundreds of people locally, all who were looking for a convenient and efficient way to sell their home. No matter what condition the house is in, or the situation you are facing, we can help! behind on your payments and fearing foreclosure? Even if the process has already began, we might be able to stop the banks and save your credit! going through a divorce or other family change? We can help if you need to downsize or upgrade to a larger home! are there liens on the property that have kept you from selling previously? We might be able to buy the house anyway! are there more repairs than you can make? Or maybe you are just tired of putting money into a run-down home? dealing with an unexpected inheritance? You don’t need to spend any money to sell the house quickly! We can help you leave the hassles and headaches behind and get a great, honest, all-cash offer on your home today!Imagine, by this time next week, you can be free from bad tenants and high property taxes! We Are Ready To Buy Your Columbus House Today! You don’t have to deal with the usual stresses and hassles you’d expect when listing your home. Our process is simple. You send us basic property information, we make an offer, you decide if it’s right for you. That’s it! If you accept, we can close in 7 days, or on any day you choose. You call the shots! You don’t have to keep your home squeaky clean for showings and open houses. When you have more than one person in the home, this can be a lot of work for everyone! Furthermore, you won’t need to pay for upgrades and repairs you would otherwise have to make to get your home in listing ready condition! From day one, you will know exactly how much money you are getting for your home and on what day. Listing leaves the sale up to chance with no guarantee on a sale date or a price. This can make planning for the future very difficult! We work a lot differently than agents do. We want to help you make the best decision for your situation. Whether that is a direct sale or listing your property, our ultimate goal is to help you! We have been in the industry for many years and have helped hundreds of Columbus homeowners. Let us help you too!